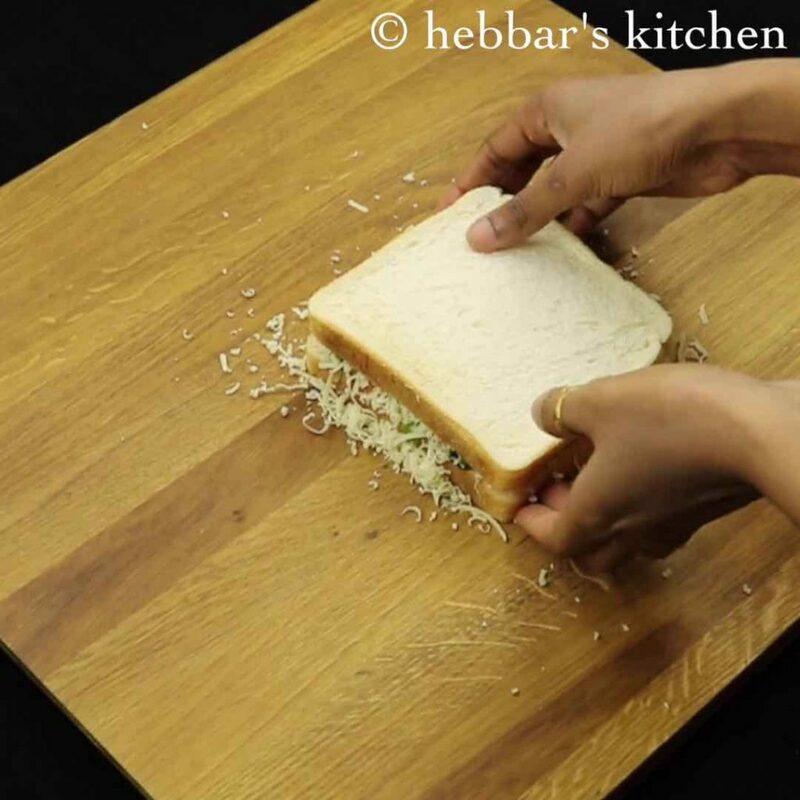 veg sandwich recipe | easy vegetable cheese sandwich recipe with detailed photo and video recipe. 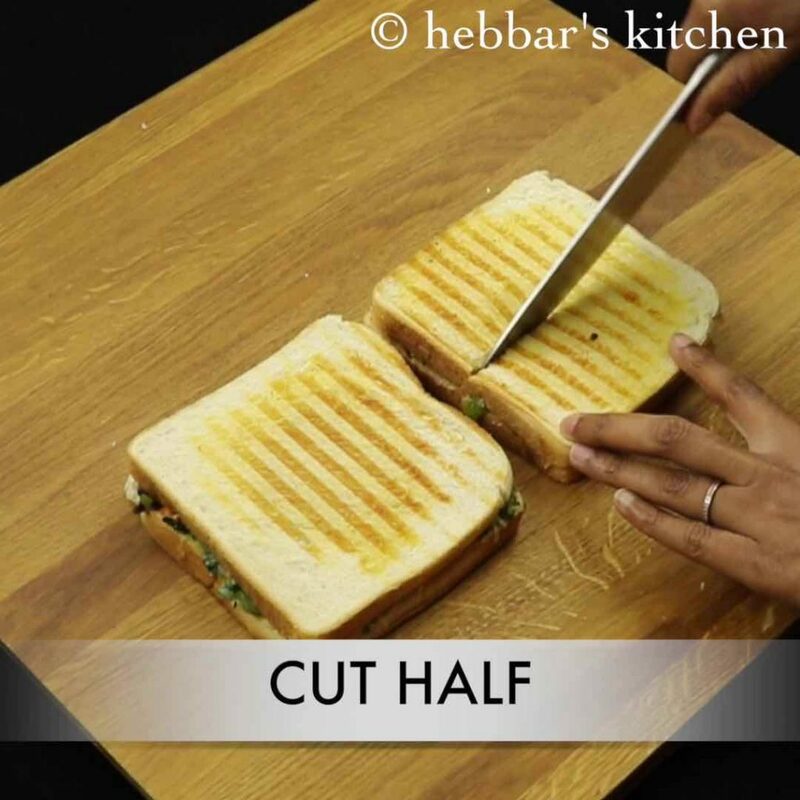 a simple grilled cheesy sandwich recipe prepared with easily available vegetables in every household. 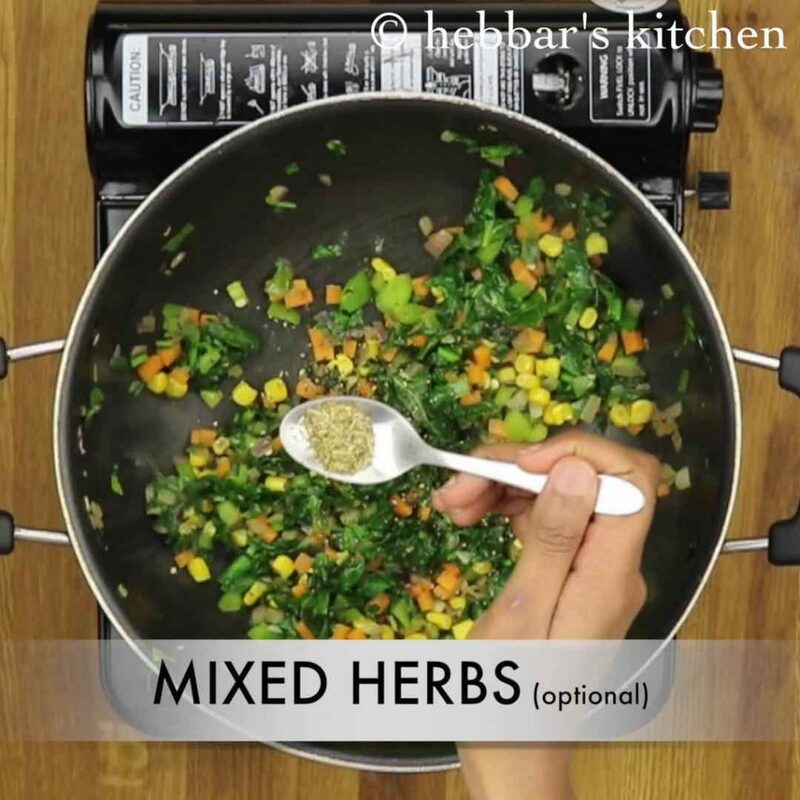 an ideal healthy kids lunch box recipe which can also be served as snack and breakfast. 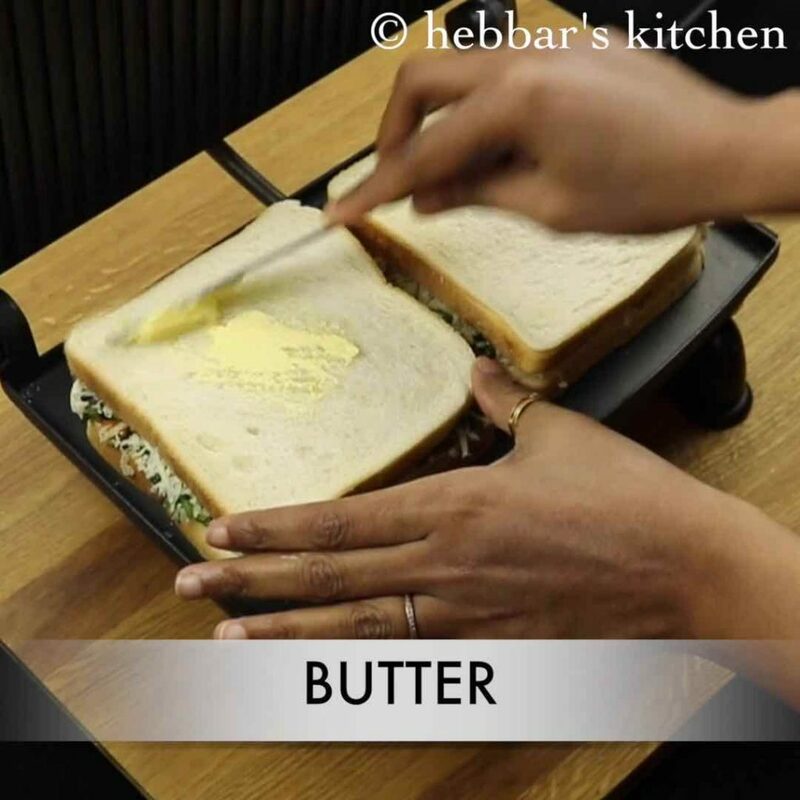 veg sandwich recipe | easy vegetable cheese sandwich recipe with step by step photo and video recipe. 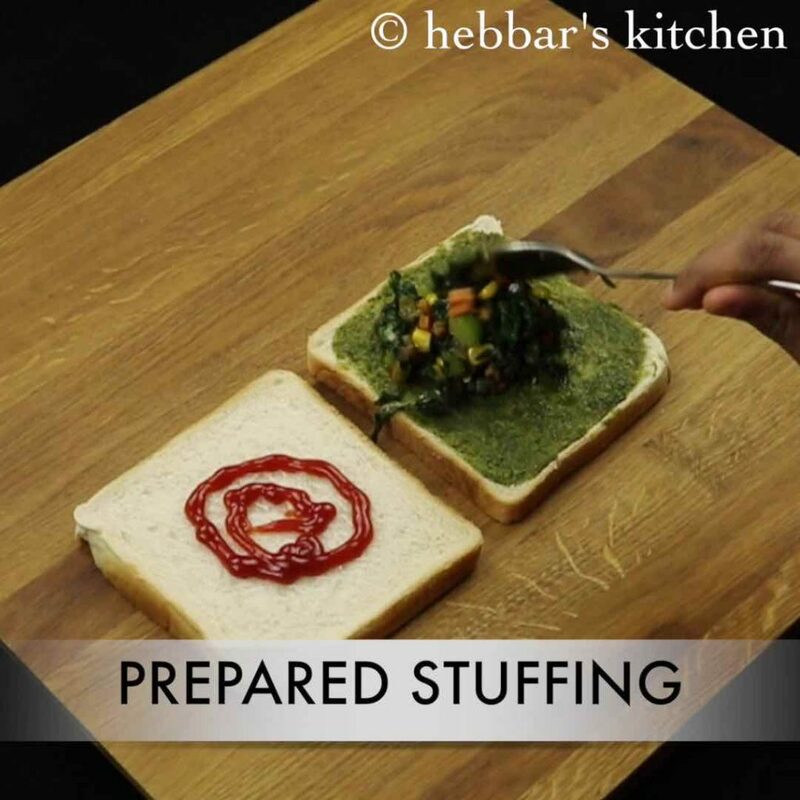 basically a common sandwich recipe prepared all over india. it is prepared with vegetable stuffings placed in between of two bread slices. furthermore, it is topped with grated cheese and grilled with butter. the very common vegetables used in such sandwich are, spinach leaves, corn, capsicum and onion. i think most of the working mothers think it is impossible to prepare quick and healthy breakfast during busy mornings? well i would say to think again and look at this simple and fast veg sandwich recipe. 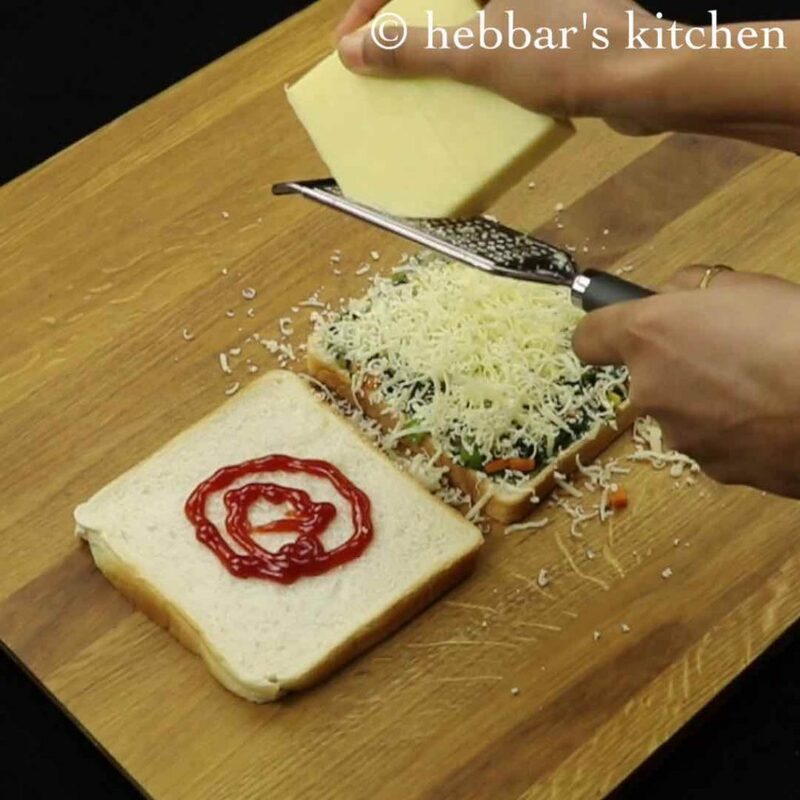 you can easily prepare this vegetable cheese sandwich recipe within 20 minutes. 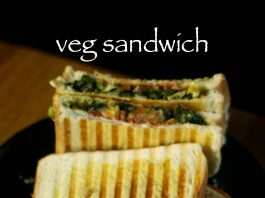 i prepare this healthy veg sandwich recipe almost every week for breakfast. i even prepare by adding some sliced mushroom, eggplant and even zucchini. 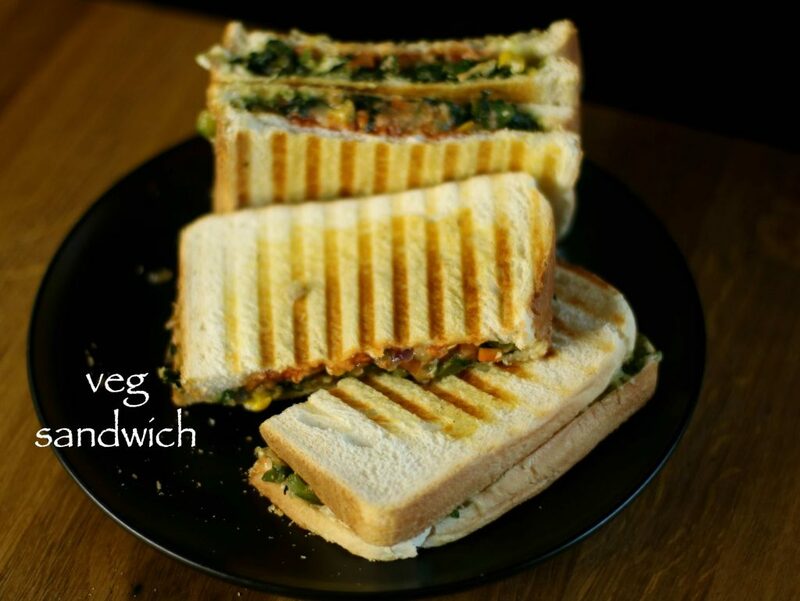 furthermore, veg sandwich recipe can be easily customized as per your preferences. 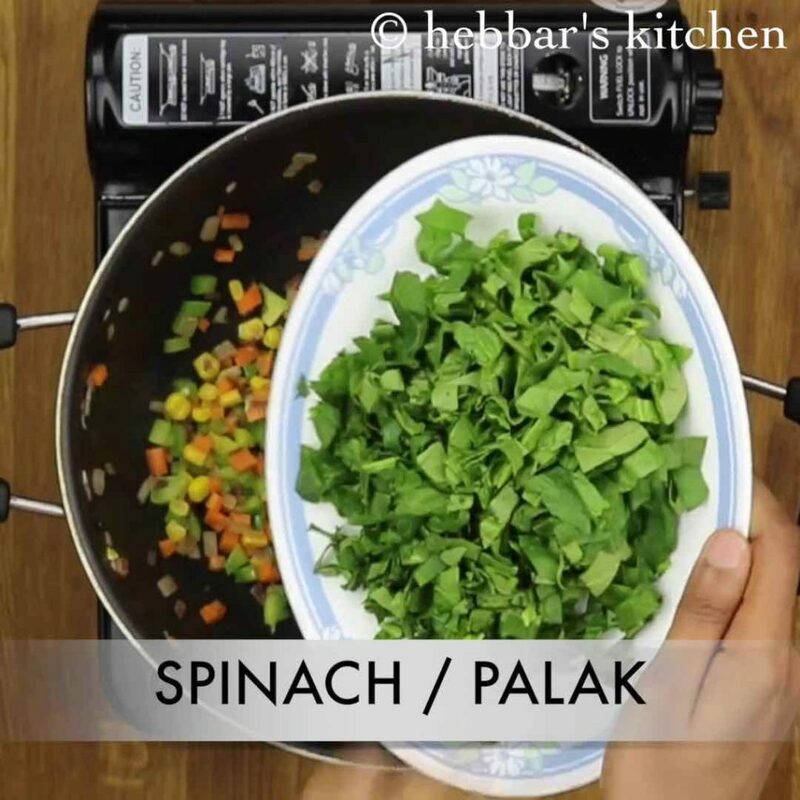 the first variety is to prepare with simple spinach leaves and corn. it is also popularly known as corn spinach sandwich recipe. secondly, if you do not wish to grill, than you can totally skip it. even without grill, the veg sandwich tastes great. lastly, mixing the suated vegetables with cream cheese and then layering between bread slices tastes amazing. finally, i request you to look into my other sandwich recipes collection. 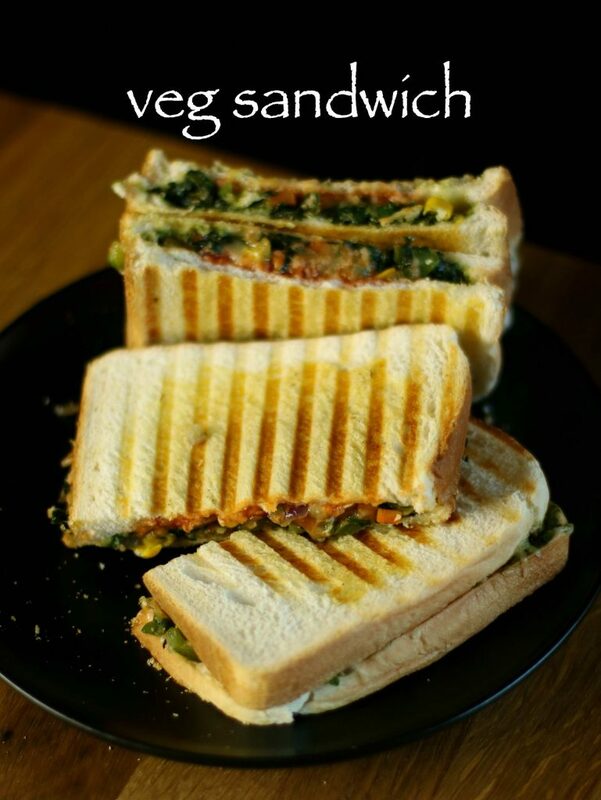 particularly, veg bombay sandwich, bombay veg grilled sandwich, pinwheel sandwich, curd sandwich and paneer sandwich. in addition, i request you to check my other indian breakfast recipes collection. especially, my south indian idli recipes collection and south indian dosa recipes collection. 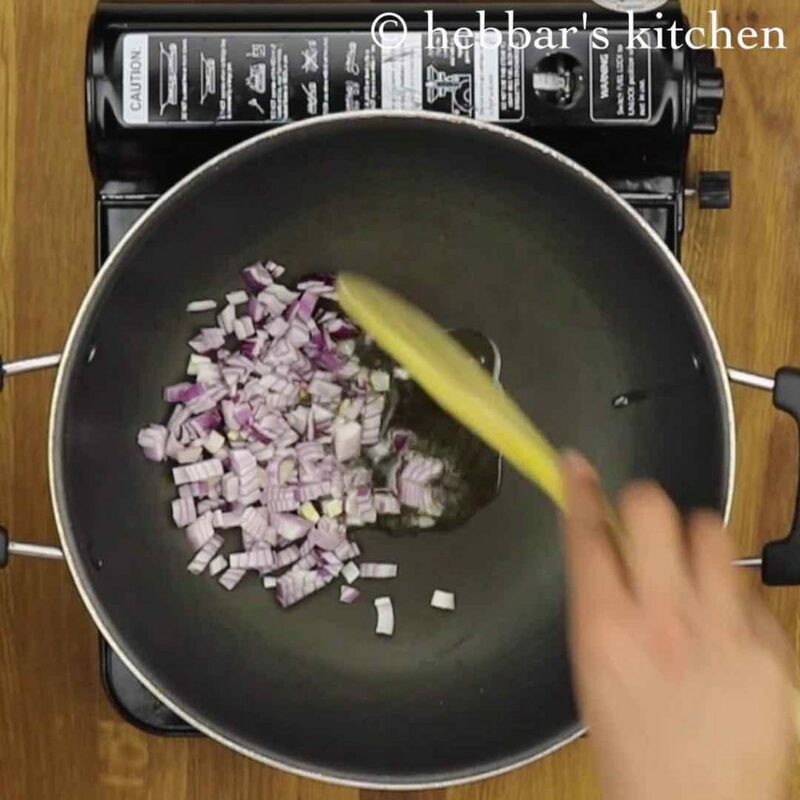 firstly, in a large kadai heat oil and fry onions. 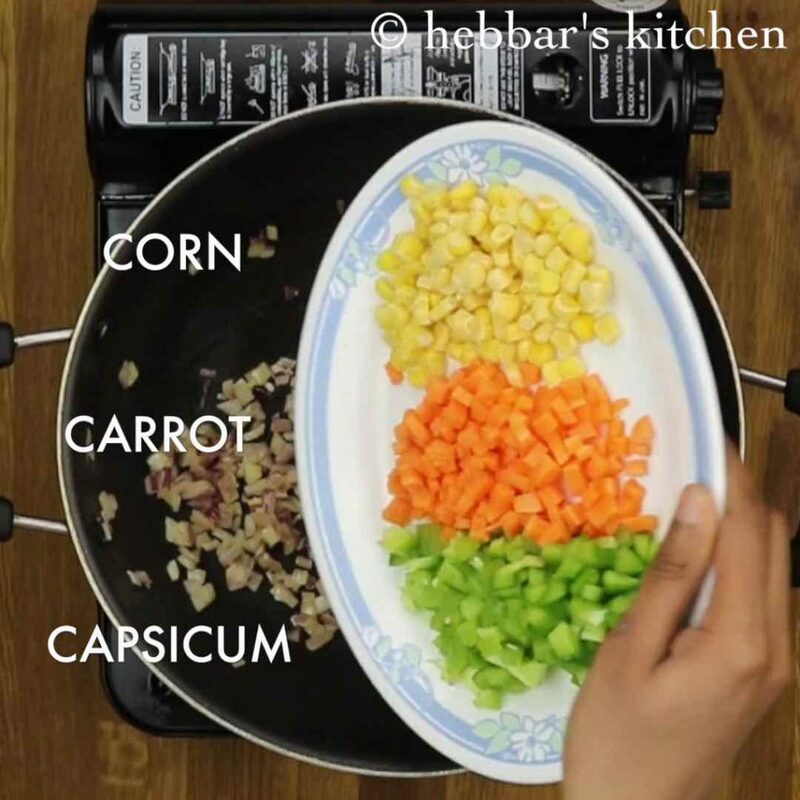 further add corn, carrot and capsicum. fry for a minute till the veggies are half cooked yet crunchy. now add chopped spinach and fry till they shrink in size. also add pepper, mixed herbs and salt. give a good mix. 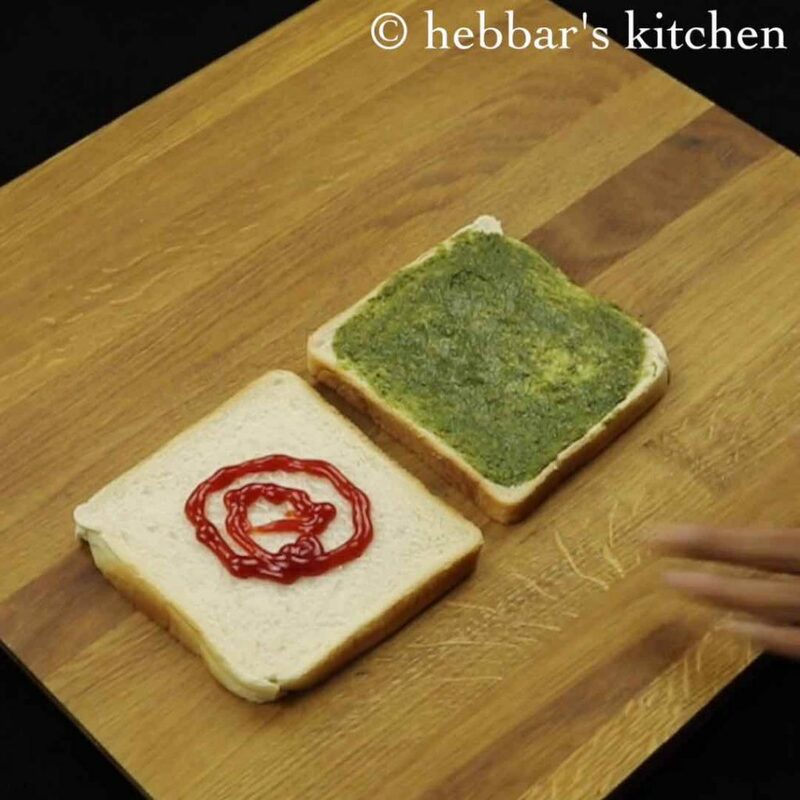 now take 2 breads and on one spread tomato sauce and green chutney on the other. also place the prepared stuffing and spread uniformly on the bread slice. further, grate the cheese over the stuffing. cover with the other slice of bread and grill or toast on tawa. spread butter on both the outer sides of bread to make sandwich more crispy and golden. furthermore, close the griller and grill till the cheese melts and bread turn golden brown. 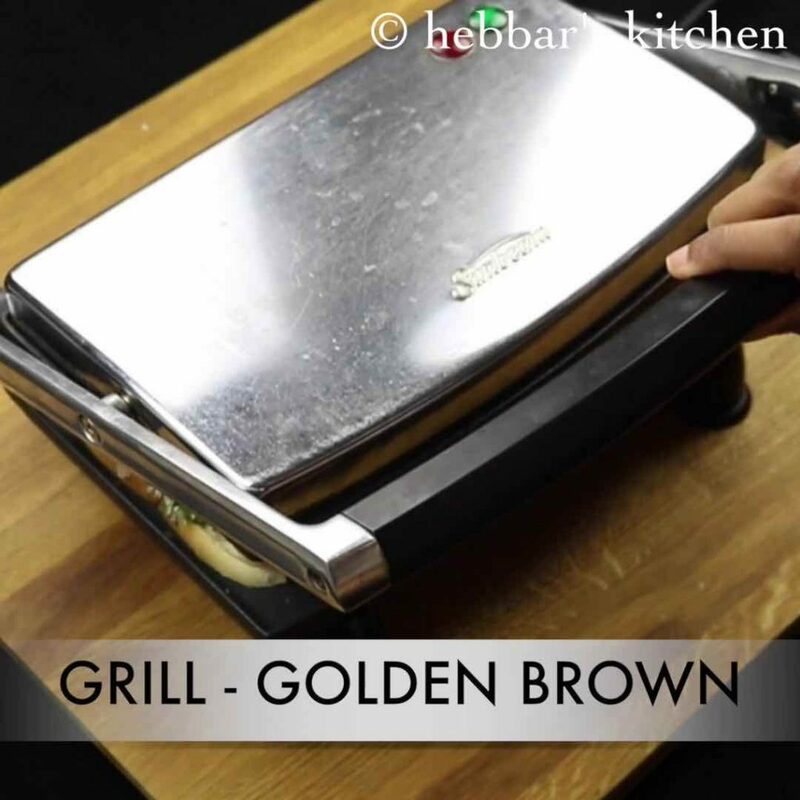 firstly, you can use tawa or griller to grill the sandwich. furthermore, add vegetables of your choice. also skip the cheese and use cream cheese for more flavours. finally, adding spinach leaves makes sandwich more nutritious and tasty. hence do not skip. Tried tis receipe today, it came out very well.my son loved it. I would like to pack this for my kids lunchbox.. just worried, won’t it get soggy. Any tips on this.